Born into unimaginable poverty and obscurity, by his mid-twenties Charlie Chaplin was one of the richest and most famous men in the world. One of capitalism’s great success stories, he was ejected from the United States (forty years after his arrival) for being a communist sympathizer. This was gross myopia on the part of the government, for, as his old colleague Stan Laurel liked to point out (a little too shrilly sometimes) Charlie was never anything more than a clown. He was born to be in music hall. Both of his parents were performers, and there is evidence to support the theory that both were at least part Gypsy. His father, Charles Chaplin, Sr., had the most success, having reached the status of headliner and even touring the U.S. in 1890. His mother, performing under the name Lily Harley, had almost no success at all. Unfortunately for Charlie and his half brother Sydney, Charles Chaplin, Sr. was a drunkard and philanderer and he ran out on Lily when the boys were quite young. Lily gradually went insane, leaving the two boys to fend for themselves. Fortunately, Charlie was a prodigy. He could jig, sing and do impressions almost as soon as he was out of diapers. He claimed to have made his debut in an amateur night, singing “Jack Jones’ and being showered with coins. With Charles Senior’s help, he was hired by William Jackson for an act called 8 Lancashire Lads that had him doing clog dancing and mimicry in exchange for room and board and a tiny pittance. He was with this act for 2 ½ half years, until his mother pulled him out (for “health reasons”), evidence of her growing insanity. She had no other plan for feeding him. As his mother was placed in and out of institutions, and his brother went abroad for several months, Charlie learned to fend for himself on the streets. (In 1903 Mrs. Chaplin was permanently committed; she never regained even the brief periods of lucidity she had displayed in her declining years.) Between the ages of twelve and fourteen, Charlie worked full time in factories. When Sydney returned and discovered this pitiful state of affairs, he set to work managing Charlie, securing work for him in a play called Giddy Ostend at the London Hippodrome in 1900. Other boy parts followed. He played the lead in Horatio Alger’s From Rags to Riches. For three years he toured with a major production of Sherlock Holmes. Following a show with the promising title A Romance of Cockayne, Charlie began to be too old to play the childs’ roles. Out of necessity, he began to work burlesque, which was a bit of a comedown from the West End productions he had been in throughout his late childhood. Here he did his first sketch and solo comedy. With a group called The Ten Loonies, he played an inept plumber’s assistant in a sketch called “Repairs”. With a combination of naiveté and ingrained anti-Semitism, he amassed fake whiskers, “Jewish” clothes and jokes from Madison’s Budget and presented himself as “Sam Cohen, the Jewish Comedian”. Having no idea that the act was offensive, he proceeded to debut the act in a Jewish neighborhood, where he rapidly learned. With a group called Casey’s Court Circus, he performed an impersonation of famous electrical charlatan Dr. Walford Bodie. By 1910 they had achieved such success that Karno essayed a tour of the U.S. “Mumming Birds” was renamed “A Night in an English Music Hall” for the benefit of American audiences. 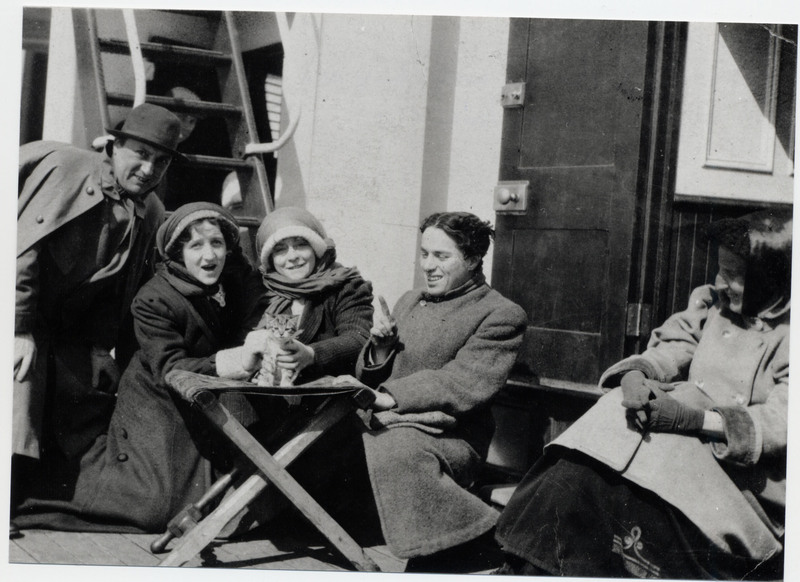 By the Karno troupe’s 2nd U.S. tour in 1912, Chaplin had become something of a sensation. Groucho Marx, for one recalls seeing him at this time and identifying him as the funniest comedian he had ever seen. In 1913, a scout for silent comedy film producer Mack Sennett, caught the act and an offer was made to Chaplin to join the Keystone company. The film industry was so young at this stage that Chaplin regarded the move as risky and deliberated for quite some time before finally giving his ascent. He joined Keystone in December 1913. 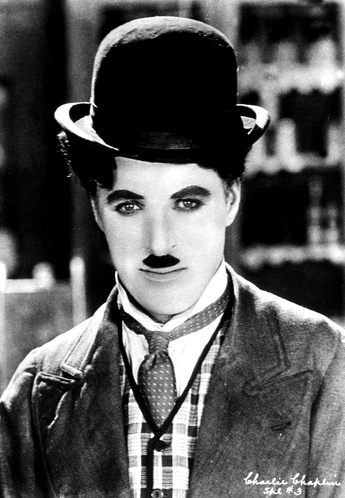 For more on the next phase of Chaplin’s career go here. If you look in the book A PICTORIAL HISTORY OF THE AMERICAN THEATRE,by Daniel Blum 1950.You will find two brothers, Willie Howard and Eugene Howard. Willie is dressed up like a little tramp the same as Chaplin.Hat shoes coat pants hair & mustache. The year is from 1915-1948.When I first looked at this and knowing that Chaplin had a brother,it kind of threw me. On page 273 (1948), there is a close up of Willie Howard proving that he was only a Charles Chaplin impersonator. I love this book it has photos of great actors. Oh yeah, my grandfather was one of Dockstaders Minstral Singers in 1899. Your blog looks really cool!